Deep Sleep helps you fall asleep faster and stay asleep for longer. 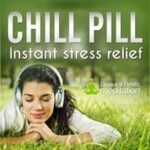 The music induces natural sleepiness, helping you relax and calm an overactive mind. Deep Sleep uses Delta waves to promote deeper, more restorative sleep cycles that leave you feeling refreshed and energetic in the morning. For those who have trouble falling asleep, or staying asleep for more than a few hours, Deep Sleep offers a natural alternative to sleep medications. Listen up to 1-2 hours before going to sleep, or in bed while you fall asleep. As we age, Delta wave production during sleep tends to decline, while some people naturally have lower Delta wave production anyway, and as such experience shorter deep sleep cycles. 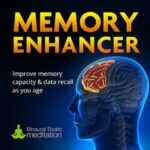 One study involving 24 participants (split into control and experimental groups) showed that listening to binaural beats prior to sleep can increase the time spent in the Non Rem 3 (deep sleep) stage. Another study in Elite soccer players showed an improvement in sleep quality and post-sleep state. In summary, eight weeks of auditory stimulation with binaural beats improved perceived sleep quality and the post-sleep state of athletes. 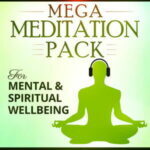 Our Deep Sleep meditation starts by calming your mind with Theta binaural beats, taking you into deep relaxation. Then, as the music progresses, the track descends into the Delta state, releasing Delta waves to promote deeper, more restorative sleep. Stimulating the production of Delta waves before bedtime will contribute to healthier sleep cycles, particularly in the deep sleep stage, where your brain should be producing up to 50%+ delta waves. 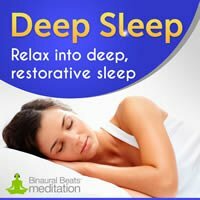 Deep Sleep is much more than simply sleep meditation music. 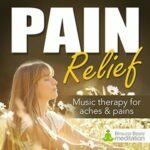 In addition to promoting the production of Delta waves, the music (instrumentation) is tuned to a frequency of 174 Hertz, a frequency that is said to promote a natural anaesthetic effect – perfect for deep relaxation and calming the mind. We recommend that Deep Sleep should be used in tandem with good sleep hygiene practices, which include regular sleep and wake times, daily exercise and reduced caffeine and sugar intake prior to bedtime. 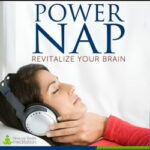 You can listen to Deep Sleep up 1-2-hours before bed to promote the production of Delta waves for long, restful sleep. Simply slip on your headphones, close your eyes and turn out the lights. As the track progresses, you’ll feel deeply relaxed and start to slowly swirl and drift away. 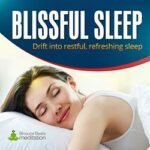 *Note: We have another sleep meditation called Blissful Sleep. Both recordings will produce similar results but have different musical compositions: We recommend experimenting with both and alternating between the two. 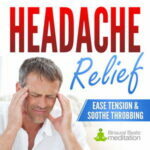 This recording will cause you to feel extremely relaxed and reduce the performance of cognitive functionality. We therefore advise that you DO NOT listen to this recording while driving or operating machinery.